What: Half-day tour to Loule Market. Don’t Miss:Watching the craftsmen as they work – it’s fascinating to see age-old trades kept alive! Visit the lovely inland town of Loule, spend time browsing bustlingLoule Market, and experience a taste of authentic Portuguese life in a traditional Algarve town! Explore the lovely inland town of Loule. Visit Loule Market, a typical Portuguese country market. Watch local craftsmen at work. Stroll along the pretty, narrow streets of the town. Includes round-trip hotel transfers from centrally-located hotels in the following resorts: Praia da Luz, Lagos, Alvor, Praia Rocha, Carvoeiro, Armacao Pera, Praia Gale, Albufeira, Olhos d’agua, Vilamoura, Quarteira, Vale Lobo and Quinta Lago. See how life is lived in a traditional Portuguese inland town on a half-day visit to Loule. Visit Loule Market, a bustling, typical Portuguese Country Market where you can mingle with the locals, browse the handicrafts on offer and shop for tasty local delicacies. Take time to watch local craftsmen, coppersmiths, basket weavers and harness makers as they work at their craft in the time-honoured tradition. 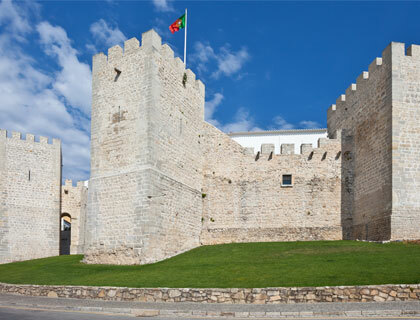 During your free time in Loule, don’t miss a visit to the Medieval Castle or take time out to stroll through the town’s narrow streets to see its ancient city walls. Please note that shoulders and knees must be covered when entering religious buildings. Please allow half a day for this tour.